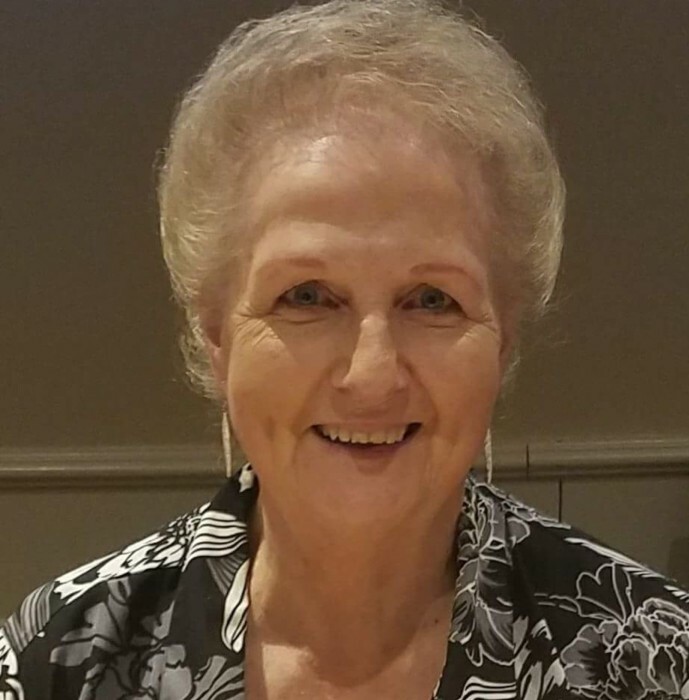 Judith D. Wells, 77 of New Washington, IN passed away on Wednesday July 25, 2018 at The Waters of Clifty Falls in Madison, IN. She was born on June 16, 1941 in Otisco, IN to Ernest and Nellie Early Dean. She was a retired office manager in the engineering field and was a member of the New Washington Christian Church. She was preceded in death by a grandson, Ryan Wells; siblings, Norma Cole, Madge Yates, Jimmy Dean, Ralph Dean, Wanda Arbuckle, Loretta Smith and Junior Dean. Judy is survived by her sons, Martin (Denise) Wells of Madison, IN and Steven Wells (Stephanie) of New Washington, IN; brothers, Denny Dean of Kokomo, IN and Steve Dean of Charlestown, IN; sisters, Geraldine Heal of Charlestown and Carol Graves of Nabb, IN; grandchildren, Tasha Jenkins (Mark), Matthew Wells (Aly), Chain Wells, Mason Wells, Mark Eurton, Jr., Ashley Eurton and Drew Eurton; great grandchildren, Hailey Jenkins, Austin Jenkins, Luke Jenkins, Carter Wells, Audrey Eurton, Hunter Eurton, Joseph Simpson, Kaden Eurton and Lux Eurton. Funeral services will be held at 1 pm on Monday at Grayson Funeral Home in New Washington with burial in Crown Hill Cemetery. Visitation will be from 12 pm to 6 pm on Sunday and after 11 am on Monday. Expressions of sympathy may go to the New Washington Christian Church.